Finance Minister Mangala Samaraweera said yesterday the government will formulate a master plan for future long-term growth and development in the Northern Province, based on factors reflected in the new Northern Province Economic Development Framework drafted by an Independent Committee of academics and professionals from the North. The Economic Development Framework for a Northern Province Master Plan’ reflecting the current socio-economic challenges in the Northern Province and possible remedies and recommendations which help identify priorities for policy design, including a Master Plan for economic development of the Northern Province over the next decade was launched by the Central Bank at a function held at the Finance Ministry premises yesterday. The Minister addressing the gathering said this report is an important policy document that contains well-studied long-term recommendations for the Northern Province. “We have now the possibility to transform these reconciliation oriented development initiatives into a decade-long programme for the sustainable reconstruction and economic growth of the North. 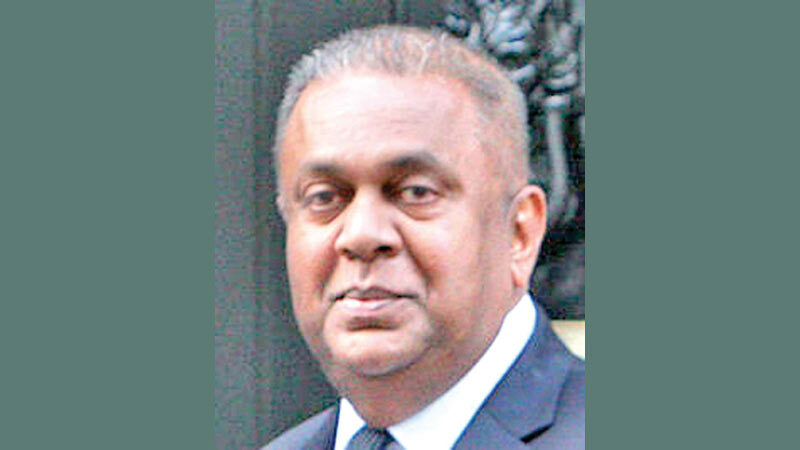 The government has realises that development and reconciliation are long-term endeavours,” Minister Samaraweera said. He further said this framework is offered as a resource to support the creation of a master plan for economic development in the North. This would be a major resource for policymakers, donors and civil society to chart a new way forward to bring prosperity and equity to the Northern Province. We hope that wider objectives of peace, reconciliation and growth of the national economy can also be sustainably achieved through this plan. “For the last four years, the Finance Ministry gave considerable importance to rebuilding the Northern Province by addressing a range of post-conflict issues including reconciliation, empowering communities, providing relief for marginalised women and creating funding mechanisms to address the concerns of the war-affected,” the Minister said. “For the first time in history, the 2018 Budget proposals dedicated a section to reconciliation with over 20 projects for the North by allocating over Rs. 12,000 million. In my capacity as the Finance Minister, I have visited the North on several occasions and personally reviewed the progress of the Treasury funded projects on a regular basis,” Minister Samaraweera said. “The issue of indebtedness, which first became known in the North, has led the government to take active measures in other Provinces and through the recent debt write-off of indebted women in 13 drought-affected districts. Prime Minister Ranil Wickramasinghe during his three-day visit to the North last week initiated to provide Rs. 1,400 million debt relief for indebted women<” the Minister added. “The Government has also issued an annual interest rate cap of 35 percent to end predatory microfinance loans. In the North, a budget allocation of Rs. 500 million to credit co-operatives will be benefit over 30,000 households, that are able to obtain small loans at low interest rates, as opposed to being trapped by loan sharks. Additionally, we have launched the Enterprise Sri Lanka low interest Loan Schemes for people with entrepreneurial skills for the entire country for which the Treasury provided Rs.5200 million last year and nearly Rs. 4000 million this year. In addition, the Myliddy Harbour is being rebuilt for the long displaced small scale fishing families who have returned to their homes in northern Jaffna. An Economic Centre is being built in Jaffna for small farmers to find better prices for their produce. We inaugurated a Rs.250 million worth grain storage centre in Kilinochchi for farmers to store their harvest. These are only a few examples of the projects we have initiated with Government funds to support the revival of the war-affected people,|” he added. “Our major Rapid Rural Development Programme, Gamperaliya, is being implemented in the North, covering Jaffna and Vanni Electoral Districts alone benefiting nearly Rs. 5000 million worth projects. Our development strategies are well matching the dire needs of those marginalised communities and we must continue to engage those people in economic activities to propel growth and create wealth,” he added. Many initiatives will continue in the upcoming Budget and will be prioritised in future development policies. I hope the various donors supporting Sri Lanka, take note of the importance given by the government to rebuild the North with our taxpayer’s funds and that they will also collaborate to further support these initiatives towards reconciliation,” the Minister said. “I must thank Central Bank Governor Dr.Indrajith Coomaraswamy for appointing this Academic Committee to prepare a Framework. If we work hand in hand with the political leadership in the North along with academics, professionals and other officials, the damage caused in conflict-affected areas could be repaired for fast recovery and lasting reconciliation,” he said. Central Bank Governor Dr Indrajit Coomaraswamy said that the economic crisis in the North, characterised by high unemployment, poverty and increasing indebtedness, calls for a new long-term vision and direction for economic development that is informed by a nuanced understanding of its post-war legacy. This report offers a macroeconomic analysis through the development of a framework that draws on three lenses: including improving the production based on the Province’s relative distribution of capital, labour, and land and natural resources; emphasiseing the importance of an enabling environment that facilitates such production and which acts on current and future obstacles and roots such production in the capacities and alleviation of vulnerabilities of the communities it aims to serve. “The report highlights the challenges that are specific to the North’s post-war legacy. There is a need for leadership to take forward a new economic development agenda, re-orientation towards development programming by implementing actors, increased community participation and workforce development. Effective action to address these while delivering a new growth strategy can only be undertaken at a provincial level to ensure the best use of resources and efficient decision-making,” the Central Bank Governor said.